Fort Langley wedding photographer bride in vintage car - Best Vancouver wedding photographer Jozef Povazan Photography studio. 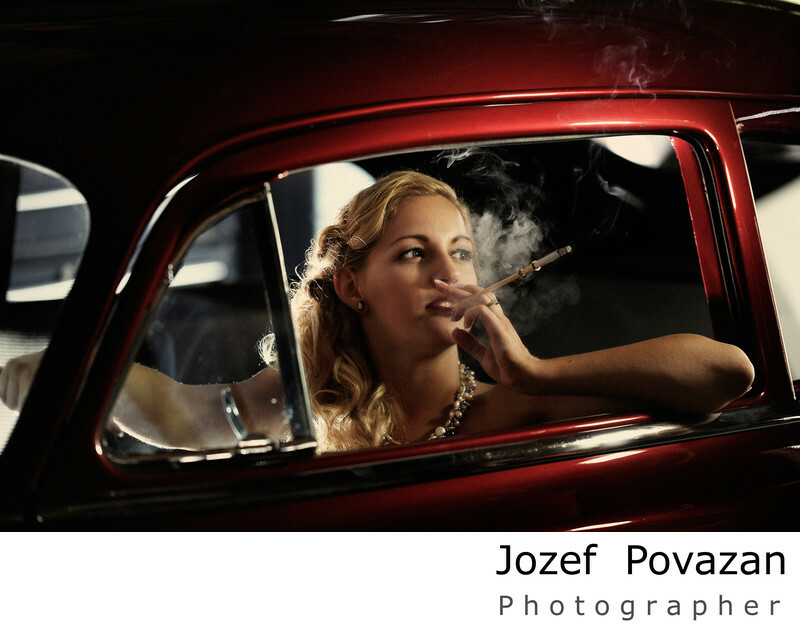 Fort Langley wedding photographer Jozef Povazan voted as Best Overal photography studio in BC for 2015 created a dramatic portrait of the bride in vintage car smoking cigar like Merlin Monroe. Creative and modern imagery mixed with emotions and raw expressions of real photojournalism. Contact us for availability and more details about our collections and hand made Italian wedding albums. Location: Fort Langley, BC, Canada.